Depending on what you’re looking for, this is an inexpensive solution. However, for better adhesion, you’ll have to supplement with a cleaner/etcher. If all you’re doing is applying straight out of the tin, then you’ll find this product extremely ease to work with. Despite the simplistic nature of the product, reports on its durability are overwhelmingly positive. This is a very viscous floor coating that spreads thickly and evenly, with ease. How far it goes exactly will depend on how thinly you spread it. We like the United Gilsonite Drylok paint as a no-fuss approach to painting a concrete surface. With no accessories, cleaners or other equipment bundled in, it’s a straightforward approach to getting a more professional finish on a range of concrete floors around the home. Depending upon the current state of the surface to be painted, you may or may not need to supplement this product with a cleaner and degreaser. 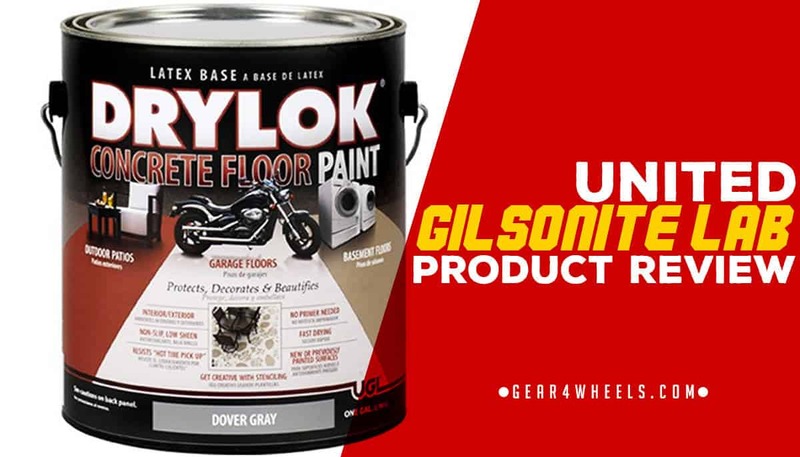 The UNITED GILSONITE LAB Drylok Concrete Floor Paint enjoys a good reputation as a long-standing, durable and high-quality garage floor epoxy paint. The product itself has been around since 2007, though the manufacturer has produced a vast range of other products and has generally positive feedback from customers overall. Unlike some kits that include stirring instruments or cleaners, this is simple a straight tin of paint that doesn't require pre-mixing. This product best suits the home user, almost exclusively. The simplistic nature of the single-tin epoxy product is suitable for somebody with no prior knowledge of floor coatings, or who doesn’t care quite as much about getting a completely professional, glossy finish. We say this because some floor coatings come complete with a surface cleaner and etcher, which helps to achieve a stronger adhesion and typically longer-lasting results, as well as color flakes that can enhance the surface and give it a showroom aesthetic. As mentioned, this is a very simple and straightforward product. For your money, you just get the single tin of Drylok floor coating in one color. This can of floor coating weighs in at around 11 pounds sealed, providing 1 gallon of coverage, and it comes in a couple of distinct hues of gray. One notable advantage that the design of this product’s packaging has over certain competitors is that it comes in an airtight tin, with a seal that can be reapplied after use. This allows you to potentially get more than one use out of the can, painting more than one room of average size. 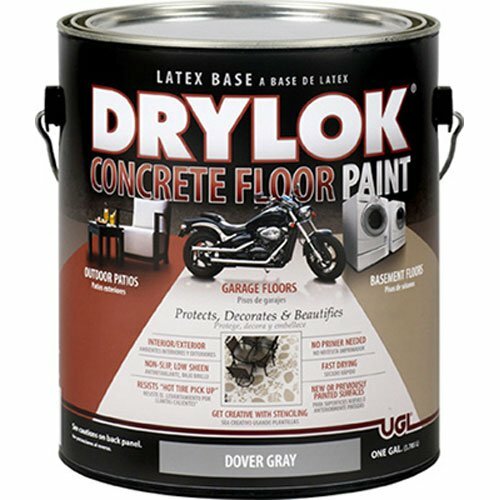 Though there’s not necessarily a great deal to say about the Drylok range, it is a no-nonsense approach to coating your interior or exterior concrete surface in a gray-tone floor paint that can enhance the appearance of your home. The only extras you’re missing out on compared to some of the more expensive kits is a paint stirrer and some cleaner/etcher, which could be purchased separately for a small price.